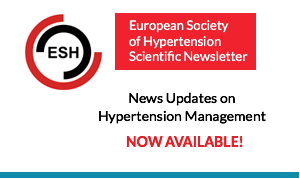 The main purpose of the European Society of Hypertension (ESH) is to provide a stable and organised European platform for scientific exchange in hypertension. 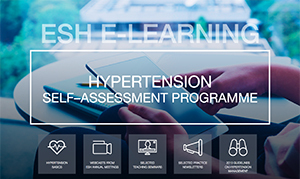 Professor Alberto Zanchetti and his colleagues initiated a series of European Hypertension Meetings in Milan in the years when the ISH did not hold any scientific meetings. Initially, these were organised without the help and support of a scientific society, except for the 1987 meeting which was organised under the endorsement and cooperation of ISH. The so-called “Milan Meetings” proved to be enormously successful, blending high-quality science and excellent organisation with a friendly academic atmosphere of the Milan University. The Milan Meetings were very well-attended, perhaps because of the clear emphasis towards clinical hypertension research. The need for a European Society of Hypertension (ESH) was demonstrated by the success of the Milan Meetings, among other factors. The ESH was created in 1989. Thus, the 4th European Hypertension Meeting in Milan was the first to be organised under the auspices of the ESH. Much effort was given to make the ESH a true sister society of the ISH, and thus its by-laws and objectives were modeled after those of the ISH. Close cooperation between the two societies has existed since the ESH was first formed. For example, all European members of the ISH were automatically granted membership in the ESH, if desired. The Journal of Hypertension, the official journal of the ISH, was adopted by the ESH as its official journal. The links with the ISH were of course very close also on a personal level. Professor Willem Birkenhäger, the first president of the ESH, had served as vice-president of the ISH just a few years previously. Professor John Reid, the second president of the ESH, was a member of the scientific council of the ISH. Professors Alberto Zanchetti, Lennart Hansson, Peter van Zwieten and Giuseppe Mancia all served as presidents of the ESH, and had previously served as presidents of the ISH. A positive, high level of interest in the ESH continues to be exhibited. 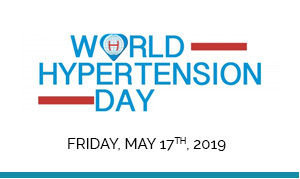 Members and European Hypertension Specialists come from all countries in Europe including all former Eastern European Countries, and from North Africa and the Middle East. The annual scientific meetings continue to grow, with increasing numbers of attendees and abstract submissions. Thus, beginning in the year 2000, the ESH decided to hold annual meetings, rather than bi-annual. The annual meeting is held in Milan every second year (in odd-numbered years) and in other European cities on alternate (even-numbered) years. However, if an ISH meeting is to be held in Europe, it is likely that the ISH and the ESH meetings will be arranged jointly for that year. This will be the case in 2020, when the two meetings will be organised together in Glasgow. 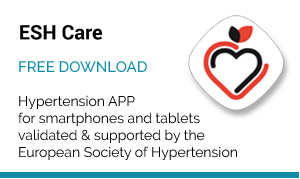 This book is a collection of photographs, events, activities, facts and figures collected to create a potrait of the three decades of progress of the European Society of Hypertension. Professor Alberto Zanchetti, MD, Past-President and honorary member of our Society passed away in Milan on March 24th. Past-President of the European Society of Hypertension, Alberto Zanchetti was an extraordinary man, outstanding scientist, colleague and mentor to many. His wisdom, his passion and enthusiasm for medical research, and his friendship will be sadly missed by the international community of hypertension. The European Society of Hypertension confers the following awards each year at their annual meeting. 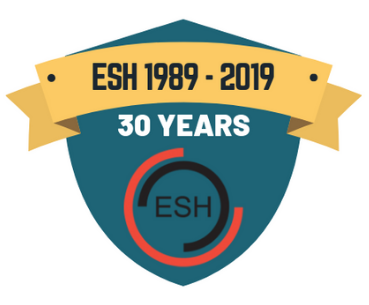 Established by the ESH with the generous collaboration of AstraZeneca in 1989, it continues to be awarded to a person or persons who have carried out original research in physiology that has contributed to our understanding of the pathogenesis of hypertension. Established by the ESH in 1995, the Alberto Zanchetti Life Achievement Award is conferred to a scientist with a life-long high quality scientific research in the field of hypertension. Established by the ESH in 2001, honorary membership is granted to a scientist who has made extraordinary contributions to research in hypertension or who has given exceptionally important support to the activities of the Society. Established by the ESH in 2003, this award is conferred to a scientist who has obtained important results in the field of clinical hypertension and trials. The ESH Annual Meeting offers a special opportunity to attribute the award to a French scientist acknowledged for his accomplishments in the field of hypertension. This award is granted by the Czech Foundation for Hypertension Research to young candidates (no older than 40 years) based on the evaluation of their abstracts submitted to the ESH Annual Meeting. The selection of the awardees is made by the Widimsky Award Committee. Awarded from 2003 through 2007. This award was given bi-annually to an investigator presenting a high quality research project on the role of the sympathetic nervous system in cardiovascular disease. The selection was made by a committee appointed by ESH. 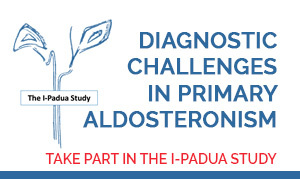 This initiative follows the Servier SNS Research Award and is awarded every 2 years for a research proposal in the field of hypertension and related diseases with a focus on end-organ damage, surrogate markers and biomarkers. Established in 2007 this award is no longer available. The award was presented to a young investigator who had published an important paper on RAS in the previous year. Established in 2008 with a research grant made available by Boehringer Ingelheim, this award is conferred to a young investigator who has made an outstanding contribution to research, education, and leadership in the fields of hypertension and cardio-vascular protection. One important award criterion will be the number of citations within the last 12 months. 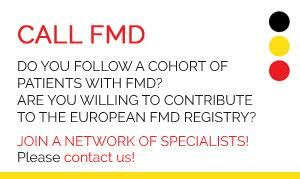 Research Fellowship for research and training in hypertension related fields. This award is dedicated to the late Prof. Peter A. van Zwieten in recognition of his exceptionally important support to the activities of the Society. This award is dedicated to the late Prof. Alberto Ferrari in recognition of his great contribution to the organization of the ESH annual meetings in Milan. Each day of the annual meeting, the ten (10) best posters will be awarded. The Talal Zein Foundation has established the Talal Zein Award to be presented annually to a distinguished scientist originating from a Mediterranean country in recognition of their outstanding work related to the basic science, epidemiology, pathophysiology or therapy of hypertension and other cardiovascular diseases.